If I had to pick some of my favourite recipes of all time, Healthy(ish) Cinnamon Rolls would be near the top of the list. These have been a breakfast staple in my life since childhood, and I've yet to find a recipe that comes close. 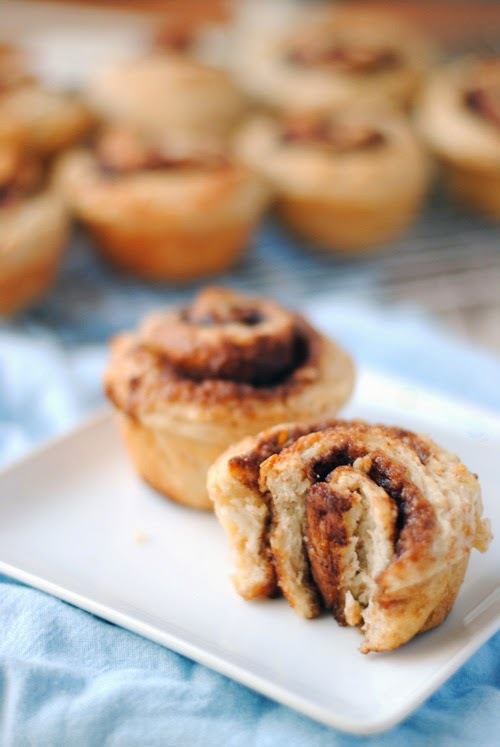 Full of cinnamon sugary goodness, waking up to a batch of these is almost as exciting as waking up to bacon. You could always drizzle some icing on them, but then they wouldn't be as healthy(ish). I also find they don't need it to begin with. You can check out the rewritten recipe in this post here, along with these redone photos!